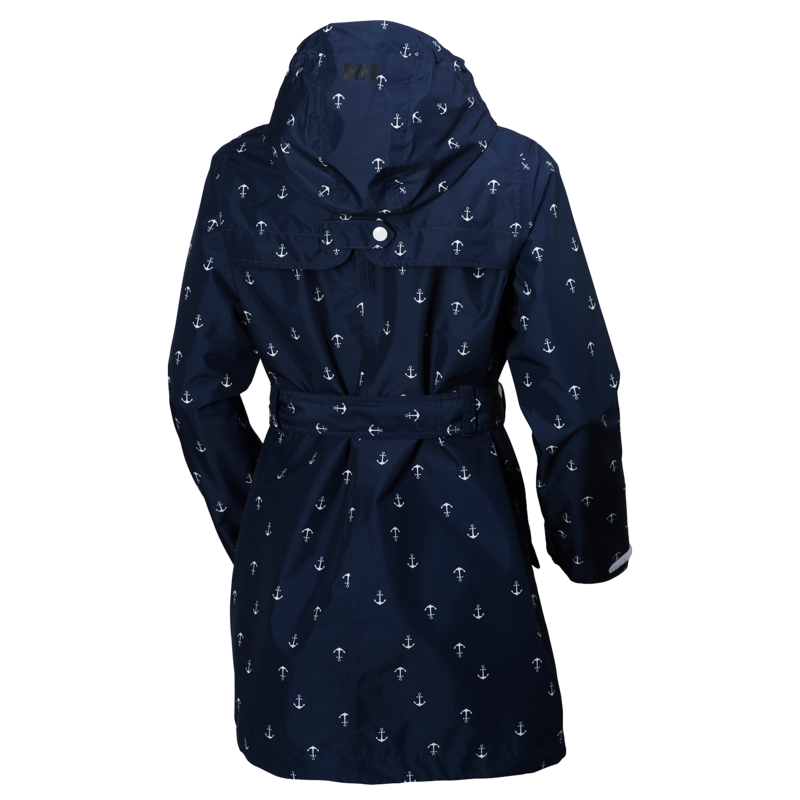 Mix and Chic: Product review- Stylish Helly Hansen raincoats! To be honest, I am not sure when I started to have an obsession with rain gears. Perhaps it started when I got my very first umbrella? Or could it be the time when I spotted a pair of chic rain boots in the beginning of the year? I have no idea but I definitely remembered asking hubby to buy me those cute rain boots I saw earlier for my birthday. Hubby said no. I don't blame him since those stylish boots are not inexpensive. 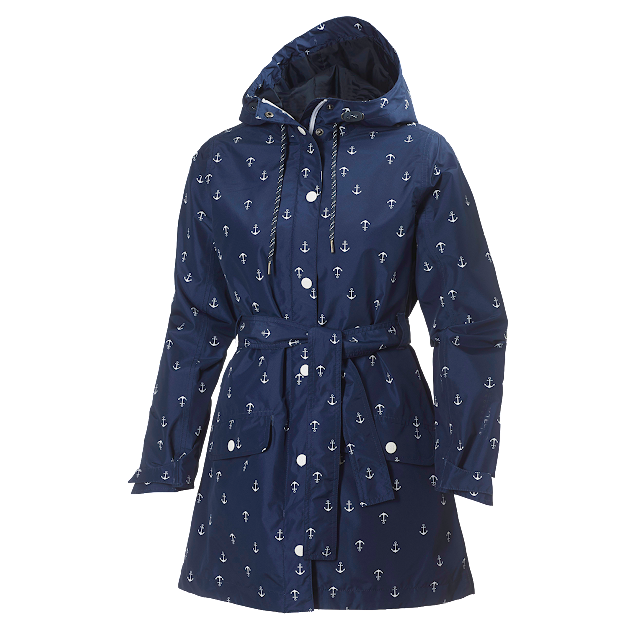 So when I was offered to try some beautiful, stylish rain products from Helly Hansen, how can I say no? I decided to pick two fabulous rain coats from their amazing collection! These are the two items I selected! Here I am trying to rock the same fabulous coat! 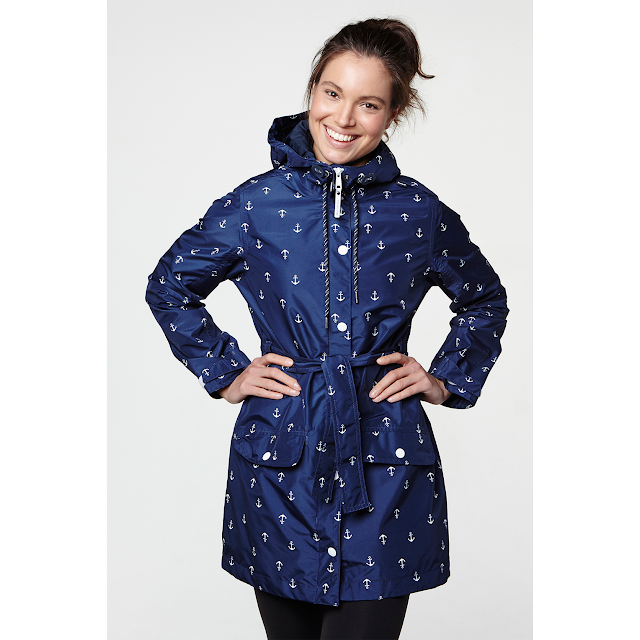 I am totally smitten with this chic and adorable raincoat right from the get-go! 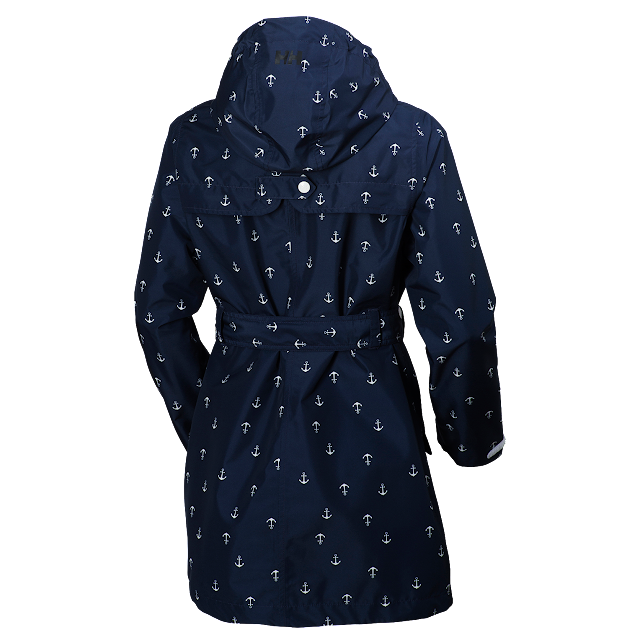 Featuring a retro design with a delightful sailing pattern, this ocean-inspired rain coat looks undeniably stylish, the perfect addition for your cute outfit of the day! With lovely details, a hoodie and two pockets with snap buttons to boot, it is definitely a great rain coat option for those who are practical and love a little extra attention to details. Made of high quality material, I like that it's also waterproof, breathable (with venting in the back), and windproof with fully sealed seams. 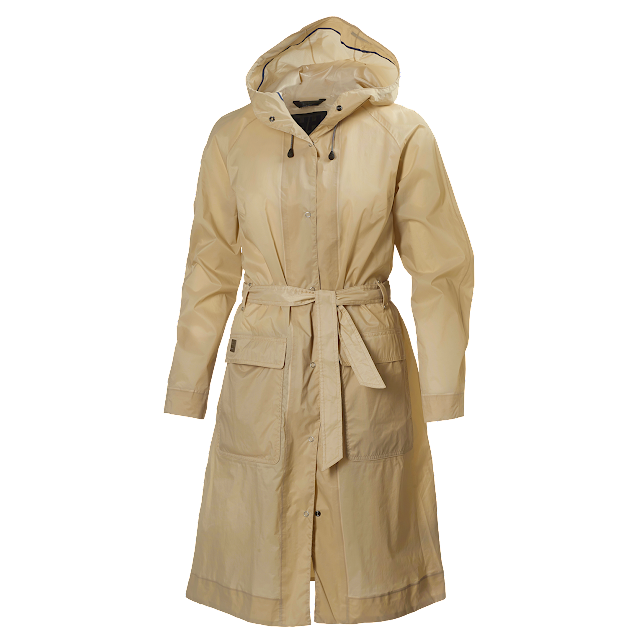 Such a wonderful little rain coat, what's not to love? Here I am trying to rock the second rain coat the best that I can! 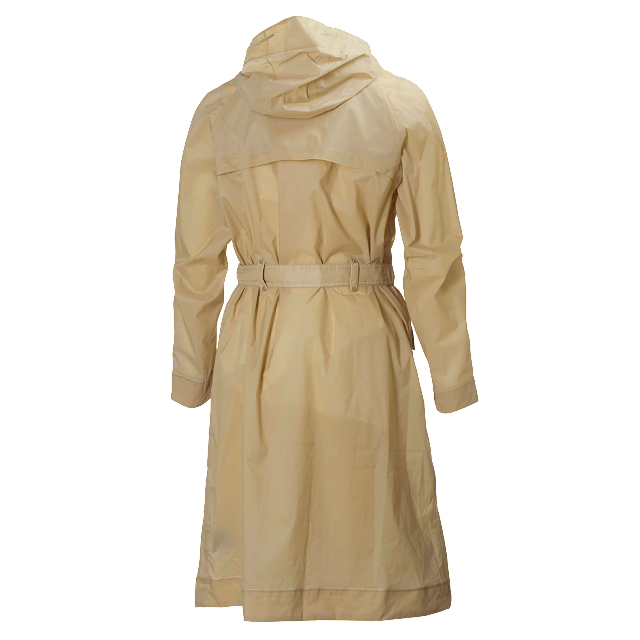 This contemporary raincoat reminds me of a trench coat, which I love! With its thin, light material, I can easily pack it inside the matching pouch it comes with whenever I am out in the city. The packable coat and pouch would come in handy during one of my travels too! Apart from the lovely design and wonderful details, it also comes with a hoodie and two front pockets with snap buttons. The best part is, even with both closed front pockets, you can still put your hands inside the separate side pockets. In other words, you can keep your hands warm inside the side pockets and protect your belongings inside the front pockets at the same time. Such a practical and well thought-out design detail! This overcoat is super lightweight, waterproof with breathable technology (with ventilation in the back), gives me more protection than the average rain coat (with its longer length) and super stylish to boot so I can definitely see myself wearing this light, flowing style raincoat on a regular basis especially on rainy spring days! Don't forget to check out more stylish, high quality jackets, apparel and footwear at Helly Hansen for your next land or sea adventure!